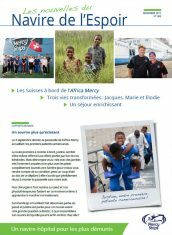 Get some hope in your mailbox! 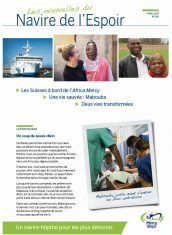 Mercy Ships transforms lives, and we love to tell these stories. 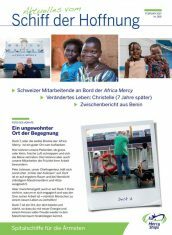 Every two months, our donors and subscribers in Switzerland receive our newsletter full of wonderful stories of transformation from the field, stories of hope, restored dignity and healing. 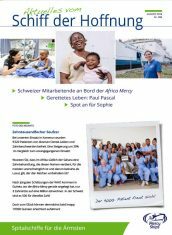 If you are located in Switzerland, you can subscribe to receive our regular newsletters by filling in the form that is at the bottom of this page. 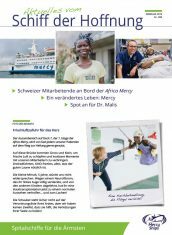 Please note that only French and German newsletters are available for Mercy Ships Switzerland. 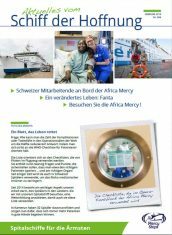 If you are located in Switzerland, you can subscribe to receive our regular newsletters by filling in the form on the bottom of this page. 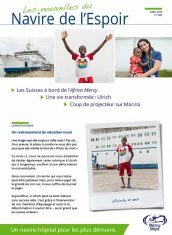 If you are located outside of Switzerland, we invite you to check whether Mercy Ships has an office in your country by clicking here.